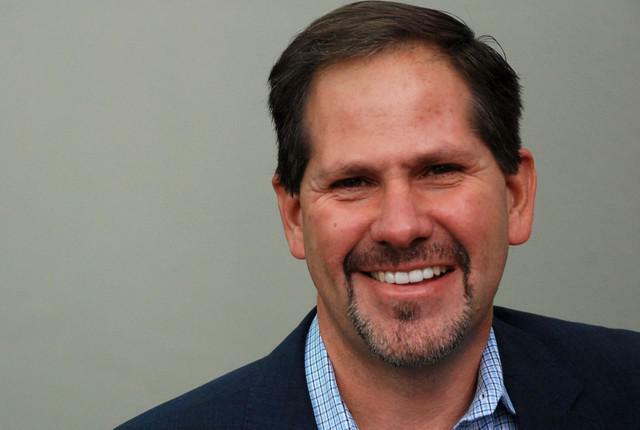 Republican gubernatorial hopeful Knute Buehler supports a ballot measure that would dismantle Oregon’s 31-year-old sanctuary law. But he also supports the central tenet of that sanctuary law — and would push similar policy as governor. In a recent interview with OPB, the state representative from Bend said repeatedly that state and local law enforcement resources should not be used to enforce federal immigration law. “There'll be no resources that go to that, no local resources to enforce federal immigration policy,” Buehler said. The detail marks a new wrinkle in Buehler’s decision to back Measure 105, which would repeal a state law prohibiting law enforcement agencies in Oregon from “detecting or apprehending” people who are only suspected of being in the country illegally. The Republican candidate announced his support for Measure 105 in a July interview with conservative radio host Lars Larson. In subsequent statements, Buehler made clear he doesn't want racial profiling of immigrants, and would seek to ensure undocumented immigrants feel safe reporting crimes to local law enforcement. But his comments to OPB also appeared to mark the first time Buehler had stated support for ensuring local police departments did not enforce immigration law. Asked why he’d support repealing a law he seems to essentially agree with, Buehler said the existing Oregon statute is too muddy. Legislators passed the sanctuary law in 1987 amid concerns of racial profiling by local law enforcement, who’d used immigration law as a pretext for harassment. The law has received renewed attention recently, as ramped-up immigration enforcement under President Trump has prompted cities and law enforcement officials — in Oregon and beyond — to limit their interaction with immigration authorities. Much of the recent criticism over the sanctuary law surrounds what information local law enforcement agencies share with immigration agents. Multnomah County Sheriff Mike Reese has been particularly strict about not sharing information — including booking photos — with U.S. Immigration and Customs Enforcement. Sixteen Oregon sheriffs, largely in rural areas, have come out in support of Measure 105. In fact, Oregon’s law does explicitly allow law enforcement officials to work with immigration authorities — for instance, when a federal warrant has been issued. Oregon law enforcement can also talk to federal immigration officials to verify the immigration status of someone they’ve arrested, among other things. Buehler said that varying interpretations of the law have created too much confusion. As governor, he suggested, he’d create more clarity on how and when local law enforcement could work with immigration officials. Buehler, who’s spent much of his campaign hoping to impress upon voters his moderate views on issues such as abortion, gun control and climate change, took flack for his less-moderate stance against the sanctuary law. Shortly after his announced his support for Measure 105, for instance, a Portland center for homeless youth disinvited Buehler from visiting. Buehler downplayed his support for the measure. Gov. Kate Brown, Buehler’s Democratic opponent in the November election, opposes Measure 105. Buehler’s stance on the sanctuary law — supporting its central thrust while also pledging to vote to repeal it — doesn’t worry Kendoll, the Oregonians For Immigration Reform president.